Today we can observe a drastic revolution in the field of technology. The usage of electronic gadgets has increased to peaks and at the same time there is an increase in the usage of electricity, this might result in the scarcity of the renewable and non-renewable sources providing electricity for humans. Hence there is a need to change this system. This system must be shifted or converted, there comes Joao Paulo Lammoglio with a soulution for this issue. Among his project about converting air we exhale to electricity, comes AIRE Mask. AIRE Mask is a mask which users can wear them around just like a mask and can charge their iOS device, iPhone, iPad or iPad using this Mask. The principle behind this is the Air we exhale enters the AIRE Mask in which there are small turbines present that convert the air into Electricity. 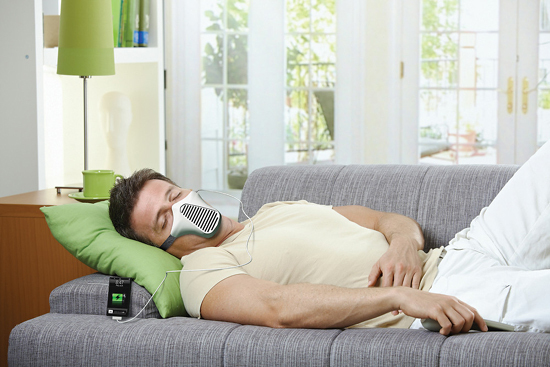 This power is transferred into the device through the wire and the device gets charged this way simply with AIRE Mask. This mask helps us in saving the electricity by just converting unwanted air into electricity. 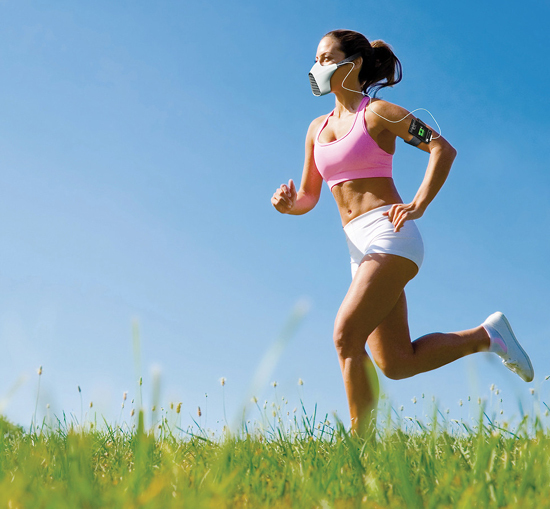 AIRE Mask can be used any where, users can wear it while sleeping, jogging and while doing many other works simultaneously charging can be done at the same time. 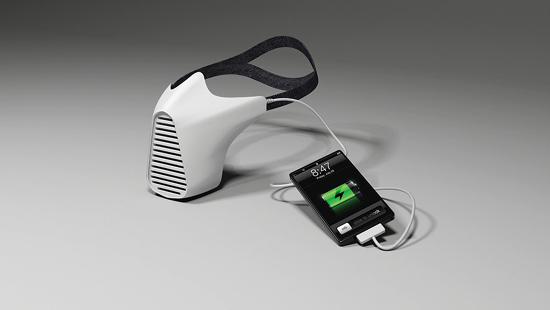 This AIRE Mask has been awarded the prestigious award 'Red Dot Design award: Best of the Best 2011'.